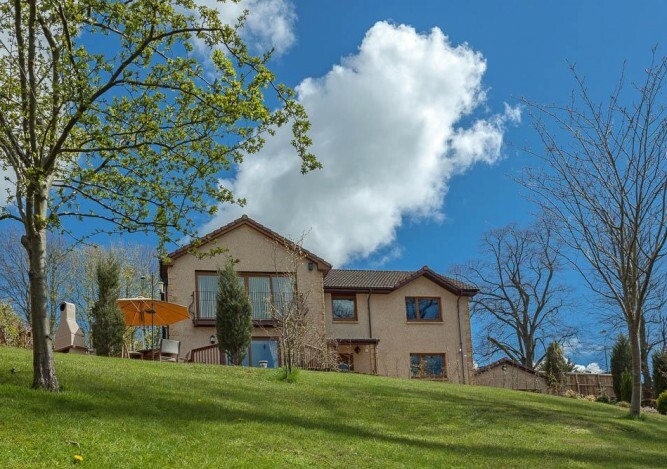 Just off the A68, Airenlea is set on a hill with fine views over historic Jedburgh yet only a few minutes walk to the local restaurants. We have private off road parking. All our rooms are en suite or with private facilities and there is free wi fi throughout the property. Breakfast is served in our traditional dining room and we use local produce and home made preserves. Jedburgh is on the St Cuthbert’s and Borders Abbey Way walking routes as well as offering its own scenic circular walks. Explore the towns historic sites such as Jedburgh Abbey, Mary Queen of Scott’s House or the Castle Jail. Or why not try some of the local cycle trails. We can organise cycle hire if you haven’t brought your own. Whether you are breaking your journey or spending a few days exploring the stunning Borders countryside, you will be assured a warm welcome from owners Chris & Amanda Scott.